Frans was killed and dismembered by his father. Perpetrator: Lazarus Pitjeng (Father), charged with murder. Location: East Rand, South Africa. Disability: Hemiparesis due to a car accident. Refilwe was murdered by her daughter, who strangled her and threw her into the swimming pool. Her four-year-old grandchild witnessed her death. After she died, it was revealed that Refilwe had regularly been beaten up by her daughter, but was unable to report the abuse, probably due to fear of victimization or economic dependence. Before her disability, she had worked as an advocate (that is, a barrister–a type of lawyer). 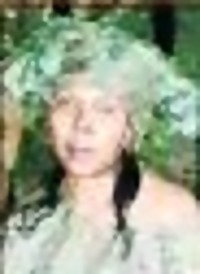 Perpetrator: Her daughter; arrested, charged with murder. 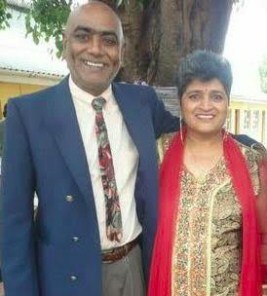 Prakash and Shoba Singh were hacked to death with a bush knife by their son. Apparently, he was angry that his mother wanted to send him to a drug rehabilitation center. Perpetrator: Shanveer Singh (Son), charged with murder. Leonard’s brother-in-law, who habitually abused and starved him, locked him inside the house without any food and left him there for a week. When he came back, he saw that Leonard had become so desperate to survive that he had been eating his own waste. To punish him, his brother-in-law beat him to death with a whip. Perpetrator: Junior Santos (brother-in-law), charged with murder. Location: Kwazulu-Natal (Manguzi), South Africa. Believing that albino body parts would make them rich, Thandazile’s boyfriend, a local healer, and two other men decided to kill her. Her boyfriend lured her out to a remote spot, where she was strangled and dismembered. Perpetrator: Mandla Mabuza, pleaded guilty to murder, 20 years; Lindokuhle Khumalo, pleaded guilty to murder, 20 years; Bhekukufa Gumede (healer); unnamed 17-year-old male (Boyfriend), sentenced to 18 years. Disability: “Disabled child who could not sit or stand on her own”. Esihle’s mother strangled her because she didn’t have enough money to feed her. She was receiving child grant money for her Esihle, but she used the money to transport her to a hospital for treatment, instead of to buy food. (Mother); pleaded guilty to murder, given suspended sentence. Ayanda’s father raped and strangled her to death. Perpetrator: Sunnyboy Phakimpi Mnisi (Father).